Burlesque is a genre of entertainment. It was a form of musical and theatrical parody in which an opera or piece of classical theatre is adapted in a broad, often risque style. Burlesque originated around the beginning of the Victorian era. It was a time when the social rules of established aristocracy and working-class society clashed. The genre often mocked such established entertainment forms as opera, Shakespearean drama and ballet. The burlesque was a logical descendant of ballad and other forms of comic musical entertainments. 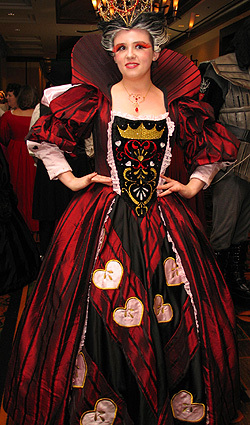 The less costuming focused on forms of dress considered inappropriate for polite society. It was originally a form of art that mocked by imitation. Maybe due to a historical social clash between the upper class and the lower class of society, much of the humor focused on lowbrow and ribald subjects. short routines or sketches, with minimal plot cohesion across a show. Burlesque became the specialty of London’s Gaiety Theatre and Royal Strand Theatre from the 1860s to the early 1890s. 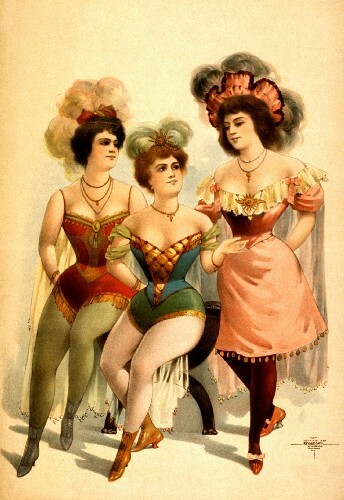 In the 1860s and 1870s, burlesques were often one-act pieces running less than an hour and using pastiches and parodies of popular songs, opera arias and other music that the audience would readily recognize. Beginning in the 1880s, composers like Meyer Lutz and Osmond Carr contributed original music, and the shows were extended to a full-length two or three act format. The format of a burlesque included three acts. In act one, the ensemble sang and told jokes, in act two, they presented an olio which was a variety filled middle act with singers, comics, and skits, and in act three they performed a musical with parodies of Shakespeare, Gilbert and Sullivan and other routines from the popular legitimate stage. A few examples of Victorian era burlesque were Ruy Blas and the Blase Roue which made fun of the play Ruy Blas by Victor Hugo. The title was a pun, and the worse the pun, the more Victorian audiences were amused. Other Gaiety burlesques included Robert the Devil (1868), The Bohemian Girl and the Unapproachable Pole (1877), Blue Beard (1882), Galatea, or Pygmalion Reversed (1883), Little Jack Sheppard (1885), Monte Cristo, Jr. (1886), Pretty Esmeralda (1887), Frankenstein, or The Vampire’s Victim (1887), Mazeppa, Faust up to date (1888), Carmen up to Data (1890), Cinder Ellen up too Late (1891), and Don Juan (1892) etc. In the 1930s there was a social crackdown on burlesque shows which resulted in their slow downtrend. The shows had slowly changed from ensemble indecent variety performances to simple performances which focussed mainly on the indecent dancing. This was the time when the nature of burlesque changed significantly.